Twitter has a built-in social hierarchy. There are those with blue tick marks next to their name, and those without blue ticks. The blue tick denotes a verified account, meaning this is a real person and is whoever their description says it is. Verification was necessitated by the number of phoney and fake accounts on Twitter, which were often mistaken for the real person. Checking if you’re tweeting to the right person is one of the basics of using Twitter without screwing up How To Use Twitter Without Screwing Up How To Use Twitter Without Screwing Up Twitter can be a touch cryptic, and it's easy to make mistakes from time to time – even if you're a longtime user. Here are a few common mistakes, and how to avoid them. Read More . But what started out as a way to help readers sort the real from the fake has turned into an ego exercise. In the world of Twitter, being ‘Verified’ is the closest thing there is to gaining a knighthood. The program is theoretically restricted to “highly sought users in music, acting, fashion, government, politics, religion, journalism, media, advertising, business, and other key interest areas”, but there is no obvious way to apply to join their ranks. Well, that has officially changed. 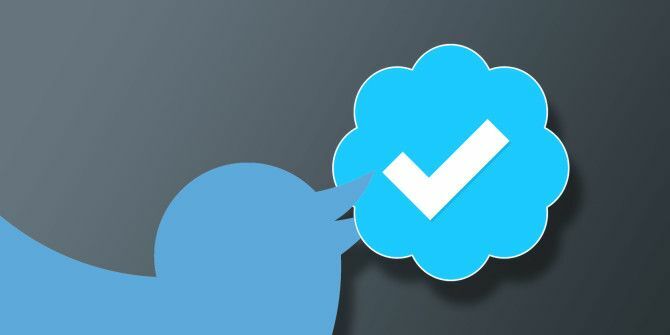 Twitter now lets anyone apply for a verified account, as long as they meet certain requirements. If you’re important enough, you can now get that little blue tick. And that also applies to dead celebrities on Twitter The Tweeting Dead: 5 Zombie Celebrities Active On Twitter The Tweeting Dead: 5 Zombie Celebrities Active On Twitter While there are some celebrities who tweet for themselves, there are many more who pay someone else to do it for them, either on a full-time or part-time basis. This bizarrely means that when a... Read More , whose brands are still being managed by people they cared about. So let’s say you go through the rigmarole of getting your account verified and are accepted into high society. What do you get in return? Well, actually very little. The biggest change you’ll notice is that you get a new notifications pane that filters only replies, mentions, and likes by other verified users. It’s a simple way to reduce the amount of junk interactions a popular account gets. Of course, you can already do this if you use third-party Twitter apps and tools. For example, Twitter’s own Tweetdeck lets you sort notifications by verified users Why Twitter's TweetDeck Is Worth A Second Look Why Twitter's TweetDeck Is Worth A Second Look In the last few months, Twitter has become my favorite social networking hangout, mainly because I find it less time consuming than Facebook and Tumblr, and I can certainly update it quicker than I can... Read More only. One of the worst errors Twitter made was making a few anti-abuse features only available to verified users; that seems to be changing. But the bottom line is that in terms of the user experience, that’s the only tangible addition you get with a verified account. It can also help with Twitter’s huge harassment problem Tweeting While Female: Harassment, and How Twitter Can Fix It Tweeting While Female: Harassment, and How Twitter Can Fix It Twitter's abuse problem is real. Here are some examples, along with expert opinion on how Twitter can solve this. 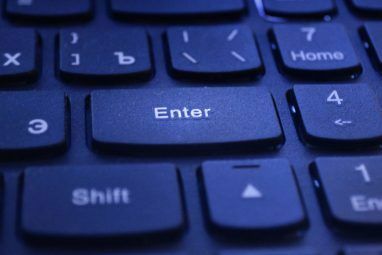 Read More , as some pundits point out, since a verified user is a real person and can’t hide under the cloak of anonymity while making disdainful comments. @rickygervais mother always told me that being verified on the INSIDE is what counts. Twitter will check if you meet all of the minimum requirements and ask for your mission statement. You may or may not be asked for the scanned ID in this process, but it’s also unclear what security precautions Twitter is taking Twitter Safety Center: How to Protect Yourself and Your Family While Tweeting Twitter Safety Center: How to Protect Yourself and Your Family While Tweeting Twitter has launched a new initiative to address the matters of safety concerns, privacy concerns, kids' security concerns, and so on. Read More to make sure your scanned ID is securely locked and doesn’t fall into the wrong hands. You might want to be careful with this one. Does This Make Verification Insignificant? It is yet to be seen what impact this verification application process has on the perceived value of the blue tick mark. 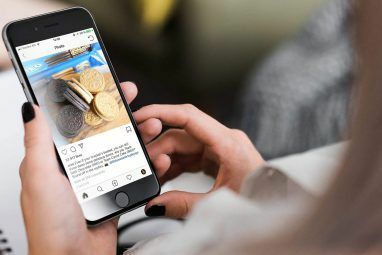 Agencies and marketers don’t care about the verified tick when working on promotional campaigns with influencers. 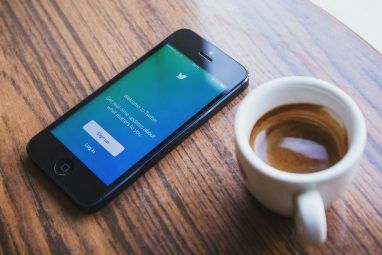 Social marketers have previously said that the blue tick is a vote of confidence and clout, but it’s worth noting that part of a verified account’s appeal previously lay in the fact that users couldn’t simply apply for it. If anyone can apply, will the blue tick still hold the same power? Will users trust that Twitter will continue to only verify celebrities and relevant figureheads, despite how Twitter came to know of them? With the verification process changing to allow applications, do you think the blue tick mark will still matter? Will you be applying for a verified Twitter account? How would you feel if you were rejected?